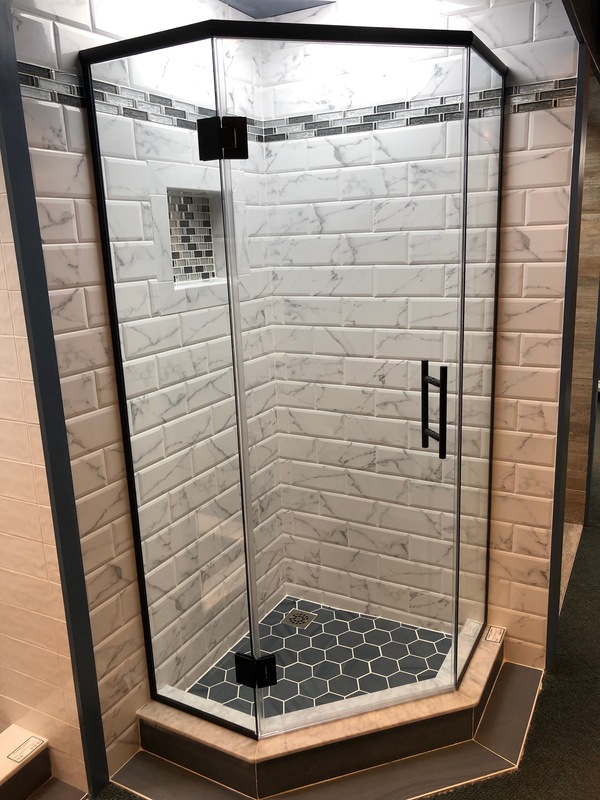 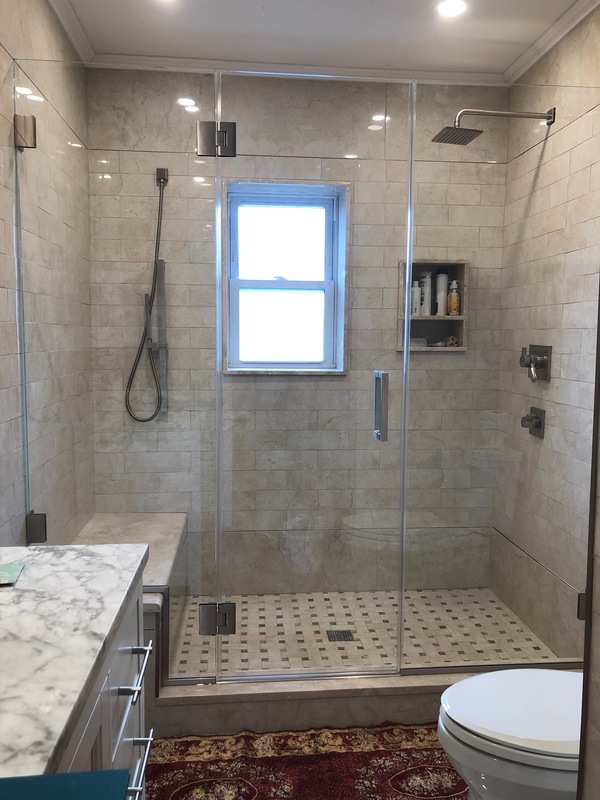 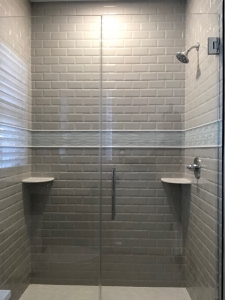 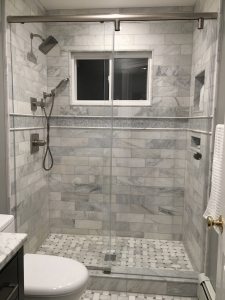 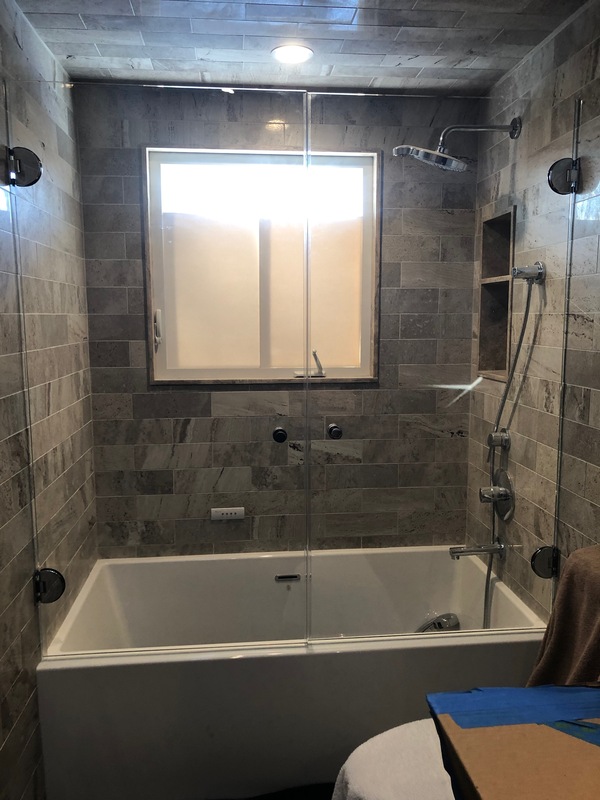 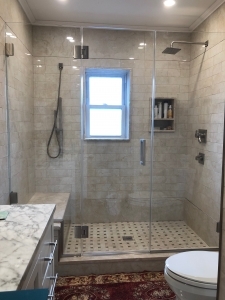 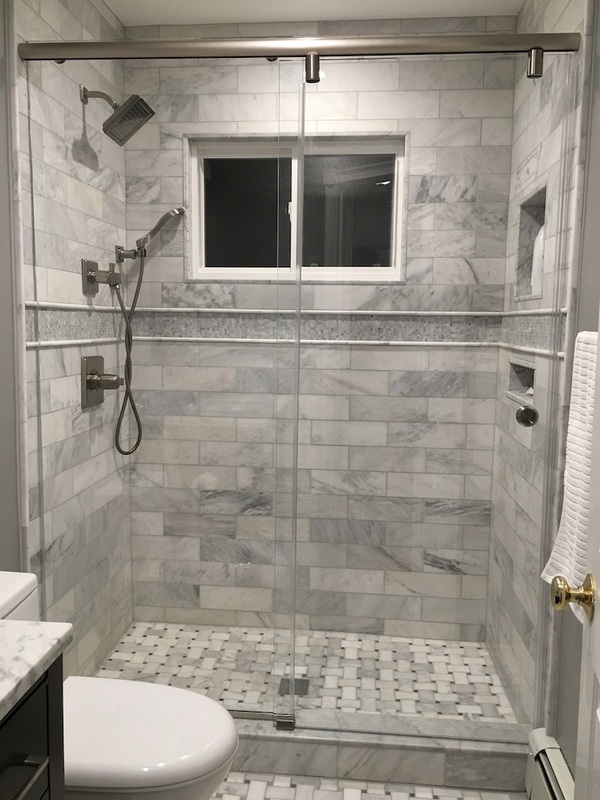 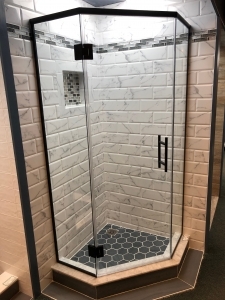 Frameless Shower Doors started to become popular in the 1990s because people wanted a more open look in the bathroom to correspond to open planning in the kitchen-dining areas as well as the rest of the house……..less walls, more space. 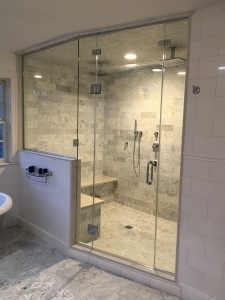 Custom Frameless Shower Doors come in a variety of shapes and sizes. 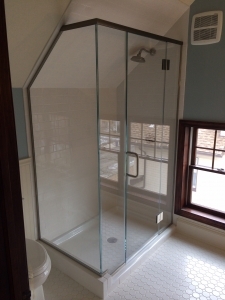 We come to your home and template each shower door to ensure a precise installation. Hardware Finishes: Polished Chrome, Brushed Nickel, Oil Rubbed Bronze, Polished Nickel, Satin Chrome, Polished Brass, Satin Brass, Antique Brushed Copper, Brushed Bronze, Polished Copper, Gold Plated, White, Red, Black and other custom colors. 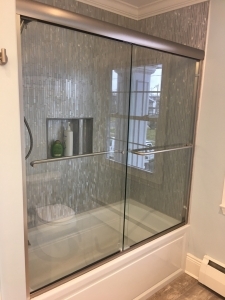 Glass Options: Clear 3/8" and ½" Thick Heavy Architectural, Starfire, Rain, Frosted (Biselux), Custom Carved and Etched Glass Patterns, Custom Cut-outs and edge work and many more options. 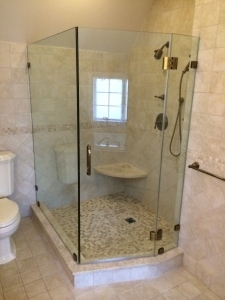 Please Note: All Glass is Tempered Safety Glass to conform to Building Codes. 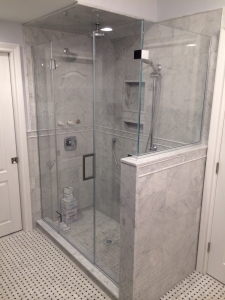 Custom Hinges and Handles or Towel bars add to the custom look of your shower enclosure. 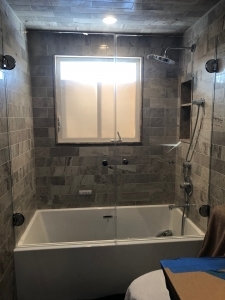 We have a variety of styles to achieve the look you want to compliment your bathroom.